The view of SkyPad™ from outside the Observation Deck. 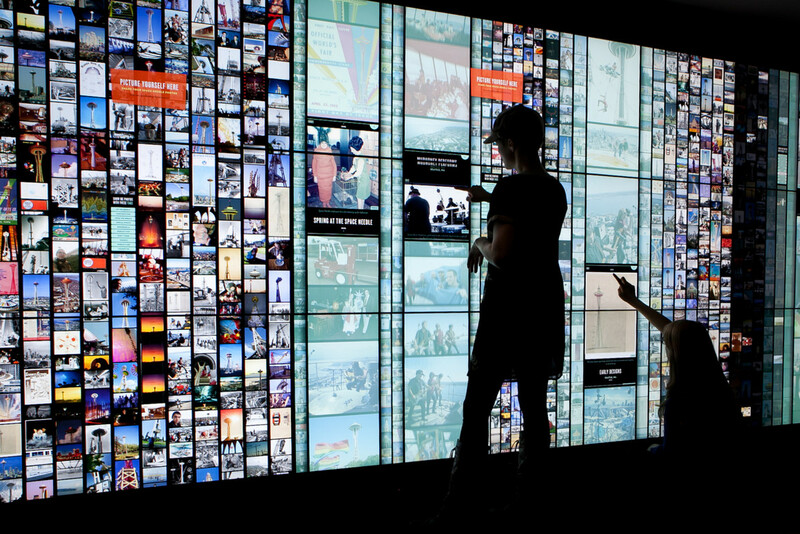 Visitors interact with multiple columns to explore a wealth of visual history. 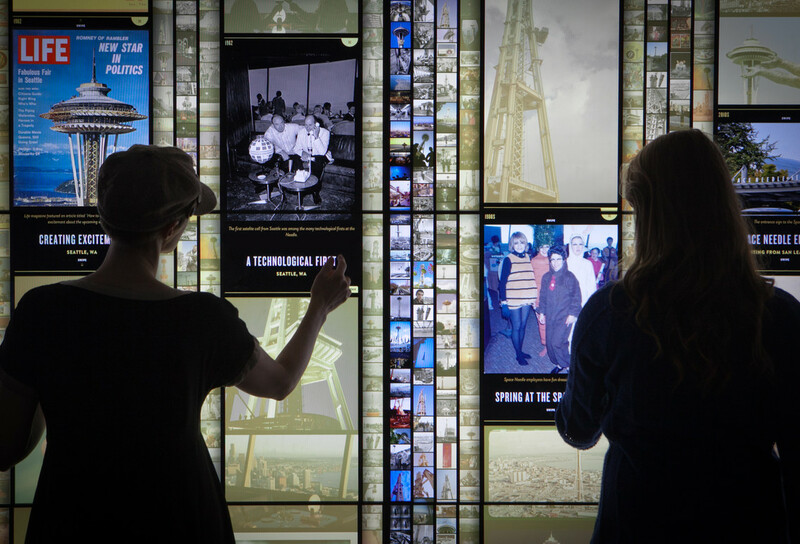 Visitors exploring Space Needle memories. A visitor swiping through featured images. A selection of the constantly changing content. The visitor's name has been added to the map along with the number of miles they travelled to be at the Space Needle. A visitor beginning the guestbook entry process. A visitor entering their name in the guestbook. 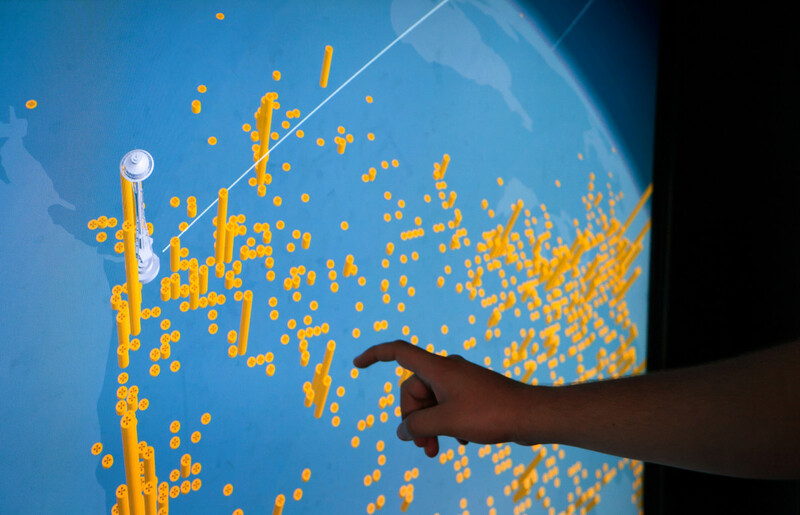 The map serves as a visualizer for all of the guestbook entries. 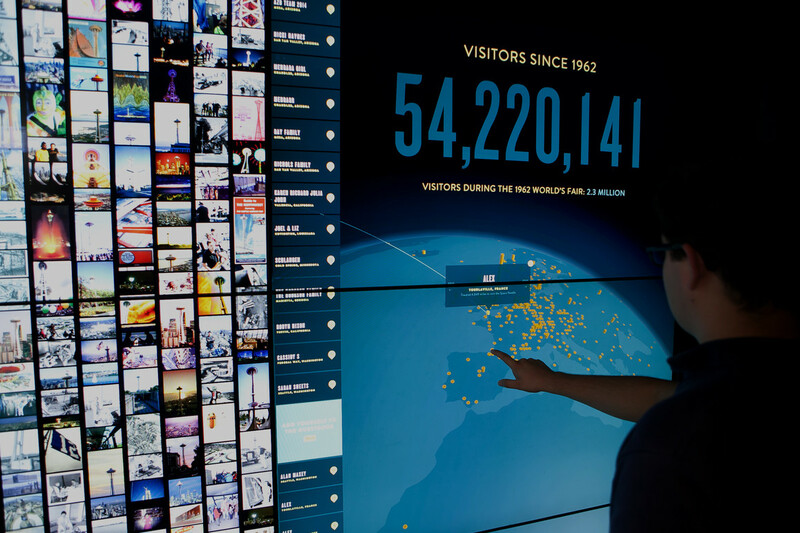 At a glance, visitors can see where the most people visit from, all around the world. 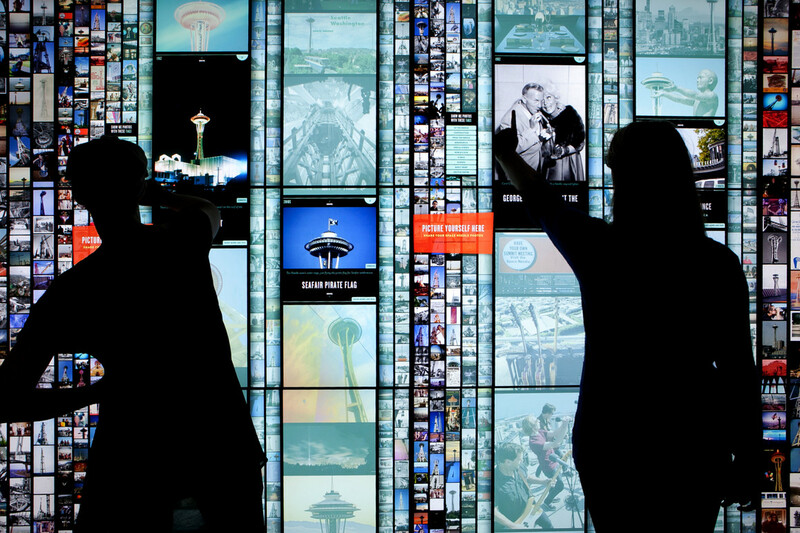 Belle & Wissell helped the Space Needle launch one its most exciting new offerings called SkyPad™, an interactive wall measuring 20-feet wide. 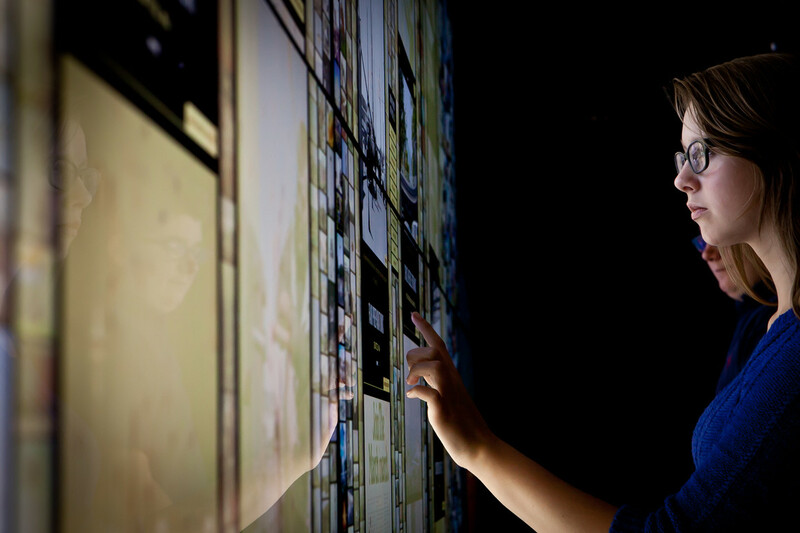 SkyPad™ is part of a large set of digital enhancements being added to the Observation Deck experience. From start to finish, Belle & Wissell worked in concert with brand strategy agency, Creature; Olson Kundig Architects; a/v hardware specialist, Streamline Solutions; database consultant, Idea Gateway; and the Space Needle’s internal team to bring this project to the Observation Deck. 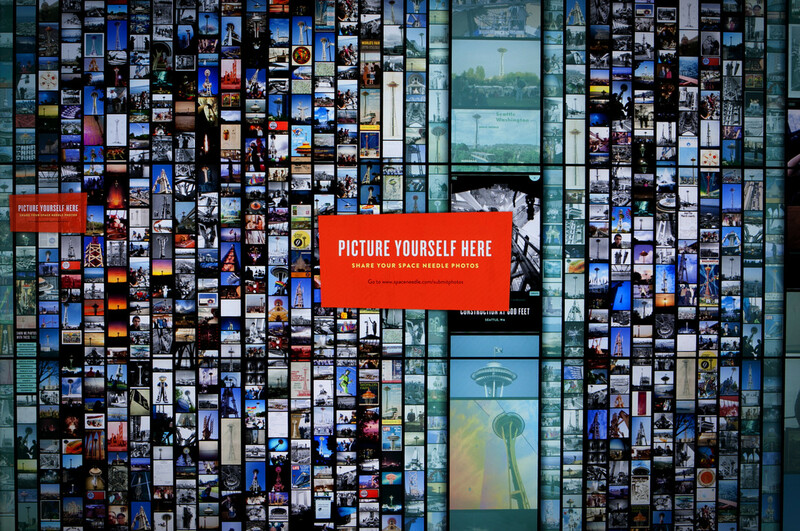 With over 1.5 million visitors a year, the Space Needle is the second most visited public space in Seattle (second only to the Seattle Central Library). 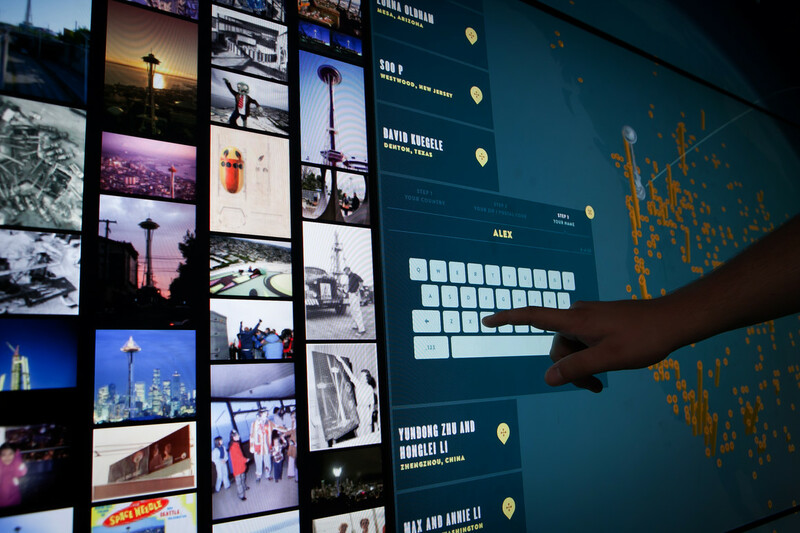 Skypad™ encourages visitors to make their mark on a 3D global guestbook and to share and browse Space Needle memories. Built for the 1962 World’s Fair, the Space Needle has since been a symbol for the Seattle experience, with people traveling from all over the world to catch the view from its Observation Deck. 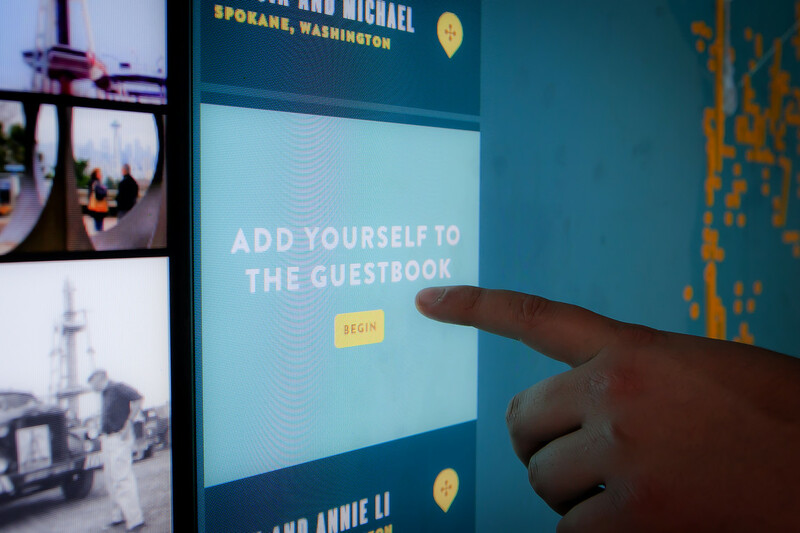 Belle & Wissell designed the Skypad™ interactive guestbook to encourages visitors to leave their mark and visualize the distance and significance of the journey they have taken to get there—via an 8-foot-tall interactive 3D globe. 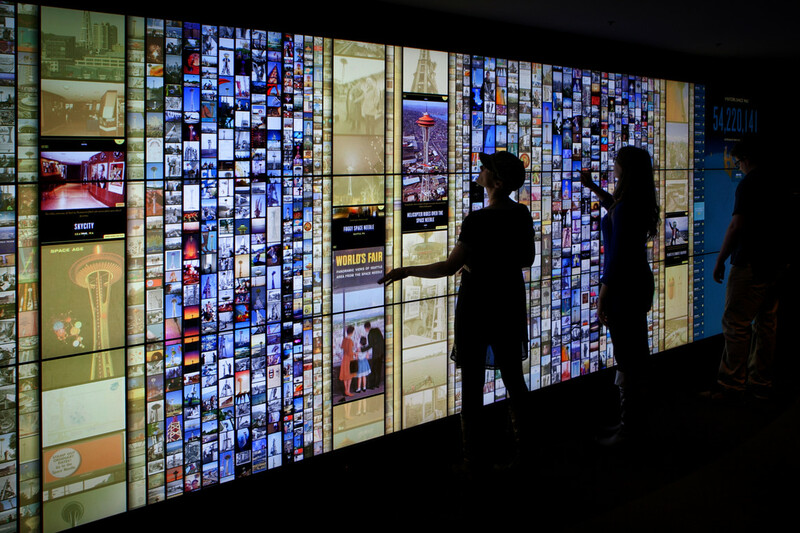 Meanwhile, visitors can explore 52 years of memories through a photographic installation that allows guests to view and filter memorabilia, early tower design and construction, sunsets, etc. 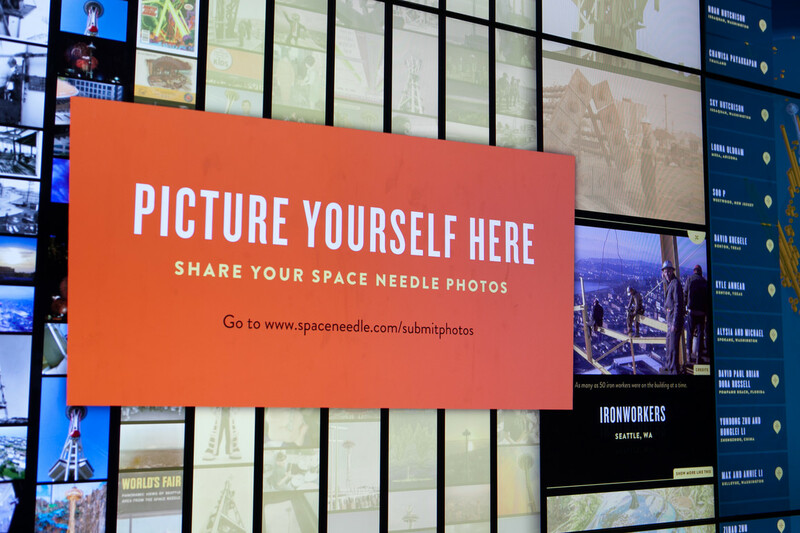 Guests are also encouraged to contribute their own memories by uploading photos through the Space Needle’s website. 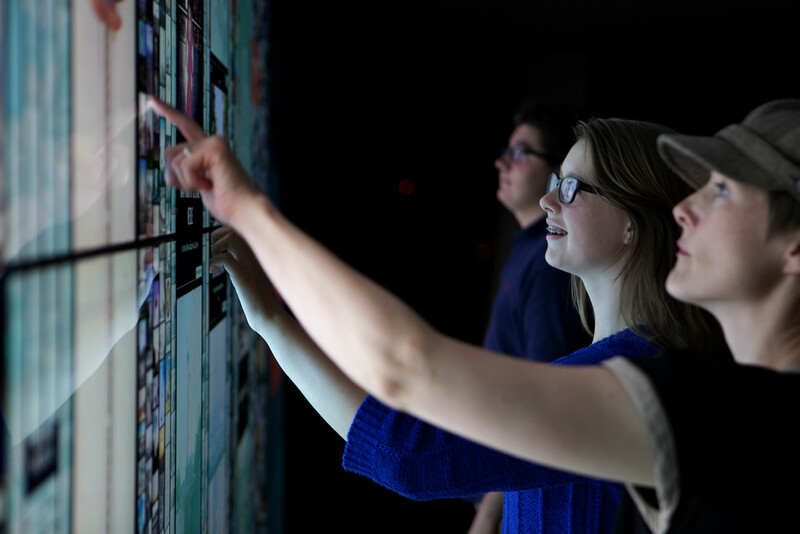 SkyPad™ is a perfect blend of inventive design and technology that give visitors both the inspiration and ability to share memories and build new experiences together in one of the world’s most iconic towers.